This is Part X. Part I of Humpty Dumpty is here. A slightly different version of this story was going to be the original pilot of the TV show I was working on in 2006. You can read about that story here. everal Lords sit with Don Juan, the winner of the jousting tournament, and with Humpty Dumpty at the head of a large, medieval table. Humpty Dumpty displays his wealth without shame. Gorgeous rugs to hunting trophies to stolen artifacts decorate the castle walls. Humpty Dumpty completely ignores the joust winner and starts a conversation with Don Juan. 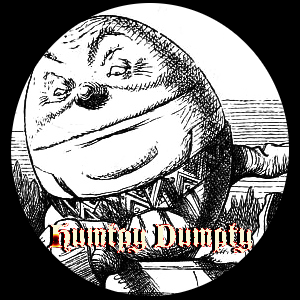 “So, where did you learn to fight like that?,” Humpty Dumpty asks Don Juan. Humpty Dumpty describes those days in loose details, but reading between the lines, Don Juan ascertains that Humpty Dumpty and his men did less than honorable things to acquire his wealth, and may have done some less than honorable things with women that had the misfortune to cross his path as well. “So tell me, do you have a wife?,” Humpty Dumpty asks. “To love,” Don Juan toasts.